This year has definitely been the year that we discovered duologies. They’re perfect! The trilogy has been done to death, and usually they follow the same pattern: the first one is the best, the second one takes a dip and depending, the third is either a nose dive to disappointment or a jump to satisfaction. With a duology, there’s less chance of what we like to call ‘Second Book Syndrome’. So, which ones are well worth reading? Not only do you get a beautiful set of covers, these two books are absolutely phenomenal. For only two books, it feels like you’re reading seven because of the different point of view and locations explored throughout. The world is extremely well built, the characters are so varied, your bound to love at least one of them, (Rue and White, forever ♡) and the story…boy, I can’t even describe it. Imagine Under the Never Sky mixed with The Chronicles of Prydain and you’re pretty much there. These books are perfect if you love the paranormal and contemporary genres. Addie has the power to see outcomes of a choice. Should she live with her Mum or her Dad, and what consequences will that have on her love life, her best friend, and the secret mind-power society she lives in? You get to read the two outcomes, both action packed and loveable, and be shocked and thrilled by what Addie chooses. The second book adds her best friend, Laila’s perspective to the mix, and deals with the aftermath of Addie’s choice. Seriously, could not recommend enough! Love Pretty Little Liars? This is practically the same thing, but in two books instead of sixteen! Perfect! These are about how six girls are affected by the murder of the high school’s most popular guy, Nolan Hotchkiss. Each girl is suspected in a slightly different way, and deals with a lot of personal drama amongst a murder inquiry. Are the girls really as perfect and good as they appear? And who’s going down for a murder they may or may not have committed? Packed with the same drama and plot twists as PLL, this is a fast paced duology bound to leave you with an open jaw on the final page. If you hate to see trilogies suffer from second book syndrome then the Breathe duology is perfect for you! It’s a fast-paced dystopian where the amount of oxygen you’re allowed is controlled by the Pod Leaders. The books are told from four different PoVs throughout the series so you get to see every part of the world, both Inside and Out, rebel and victim! If you liked the Under The Never Sky trilogy then this should definitely make your TBR! After death humans can reboot, but the longer it takes the less human they are when they return. It took Wren Connolly 178 minutes to reboot, making her one of the toughest girls around. In the facility where the reboots live, Wren trains the newbies where she meets 22 Callum. This duology has something for everyone, romance, conspiracy, and a ton of action that will have you on the edge of your seat! Contrary to the majority, I actually enjoyed Pivot Point more, although this book really did tie up all the loose ends of the series I felt that it was kind of tedious, and certainly not as gripping as the first book. 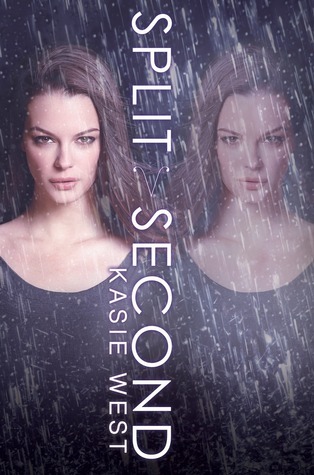 I think the addition of Laila’s voice added to the story, but the differing perspectives weren’t as enjoyable, for me anyway, as the two different voices of Addie that made Pivot Point so original. I borrowed Pivot Point by Kasie West from my local library and I liked it so much I think I’m going to have to buy it for my own library. I also need the sequel, pronto. There wasn’t an awful lot of world building, but I got the general feel for the Compound and really enjoyed the sections where we learnt more about the mind powers and the variations of those powers. Although I love the X-Men I haven’t read any YA where the main feature is super powers, but I guess, in a sense, Pivot Point isn’t primarily about the powers themselves but what they are used for. Addie’s power is ‘Divergence’ meaning she can preempt the outcomes of her choices by looking into her future. The story is split into two alternating futures where she chooses to live either with her Mom, or her Dad after their divorce. I was gripped by the characters on both sides of Addie’s choices, and right until the end I couldn’t decide which one I wanted her to pick. However, when it got round to making the decision I knew which one she would go for, and it wasn’t what I wanted. Alas, I hold out hope for Split Second because I am not willing for Addie to let go of that part of her future. Dramatic irony plays a very lead role in Pivot Point, because after something happens in one future, it happens again in the other but you get it from the ‘Normal’ rather than ‘Paranormal’ perspective and visa versa. This meant that I was gripping the edge of my seat in the final chapter pre-choice because I knew what was going to happen but Addie didn’t! She can’t say I didn’t try to warn her. Despite dramatic irony I didn’t manage to guess every plot twist – apart from the obvious ones. I think this is one of the main reasons why I am going to give this book four out of five stars. Not only did I enjoy Addie’s character, although she was slightly annoying in places I forgave her due to circumstance, but I was incredibly impressed at how easily the storied blended together and how easy it was to follow both without being confused. I loved the story as a whole; it was a wonderful break from some other more intense reads and was the perfect thing to get me out of Lola and the Boy Next Door withdrawals.